Back in 1953 when blues and jazz were all the rave every town in Denmark had a jazz club. Sonderborg was no exception and a group of friends started what would later become Sonderborg jazzclub. As one of the few in our region the club still exists. 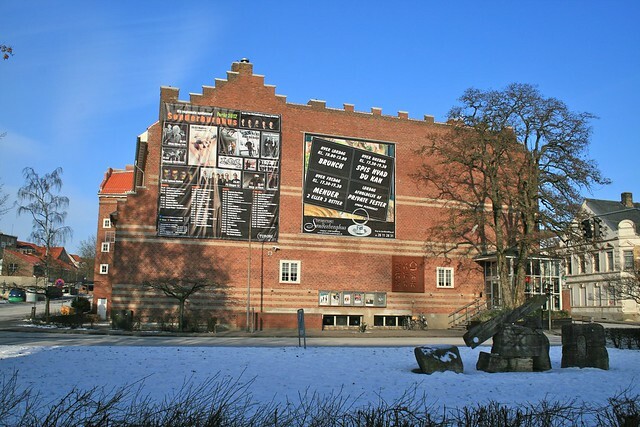 It is one of the oldest in Denmark and organises at least one concert a month. 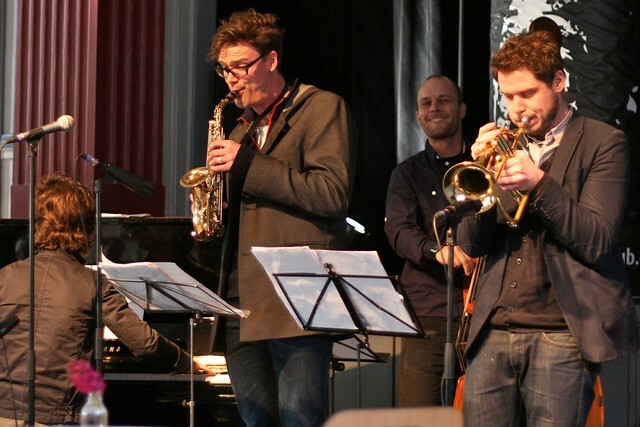 The jazz club aims to focus on the growth layer in the Danish jazz scene and tomorrow’s stars. While they do have traditional 50s swing jazz they more often present something more edgy and contemporary. It was my first time at Sønderborghus when Magnus Thuelund Melody Project Quintet played on a very clear, cold Sunday. There were only about twenty people in the theater hall which made it feel quite empty. However, there was a nice atmosphere, the jazz club people were very friendly and once the band started playing it was really enjoyable. 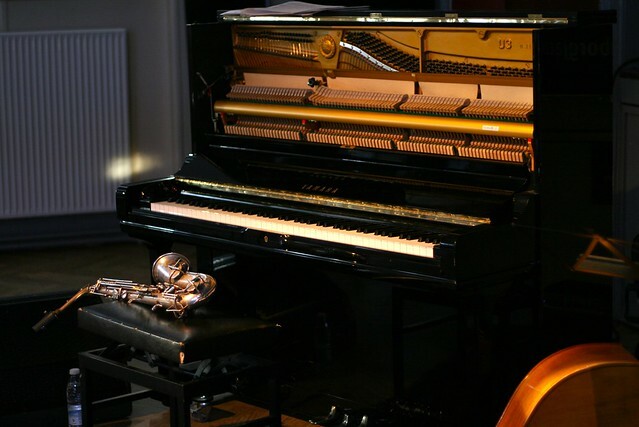 The jazz concerts are usually held at Sønderborghus on Sundays at 15 and tickets are 100DKK or 80DKK for club members. Membership of the jazz club is 200DKK per term which comes with free entrance to one concert for you and a friend. The next concert is on Sunday the 26th of February where Clara Bryld and August Rosenbaum is playing at Sønderborghus. See the website for more concerts. Sønderborghus just released an English version of their website. Even the description of bands are now available in English. To see this click the UK flag in the top right corner of their website. This entry was posted in Music, Things To Do and Sights and tagged 99 things to do, 99things, club, jazz, live, music, sonderborghus by Michael. Bookmark the permalink.